Richard has considerable experience as an ecologist with particular strengths in protected species, survey design, managing ecological issues throughout the development process and auditing and reviewing work undertaken by other ecological consultants. Richard has acted as an expert witness for Chancery Court proceedings, planning inquiries, Transport and Works Act Inquiries, Inclosures Act Inquiries and Scottish Recorder’s Inquiries. Richard is a nationally recognised expert in bat ecology and bat surveys and was a contributing editor to Bat Surveys Good Practice Guidelines (Bat Conservation Trust 2007), is a chapter author of the 2012 good practice guidelines (published March 2012) and part of the technical review panel for the current (2016) bat survey guidance. Richard also holds protected species and mitigation licences for bats and great crested newts and has held licences for badgers. oversight of its finances and, as chair of the membership applications committee between 2002 and 2008, oversaw the membership double and the introduction of the award of Chartered Environmentalist to suitable candidates. 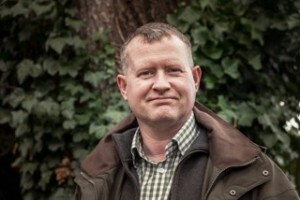 He currently contributes to the fellows forum, is a member of the standing disciplinary board and examines candidates for Chartered Environmentalist and Chartered Ecologist awards.